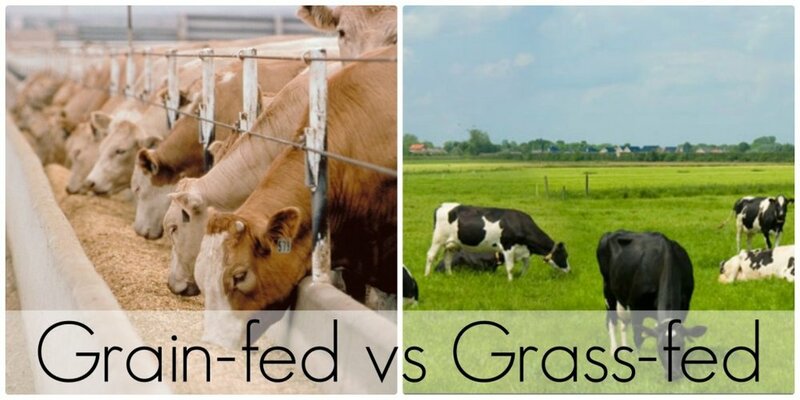 Grain- Finished: The cow spends 4-6 months eating grass, then is sent to a feedlot for 4-6 months. This is where the cow is fed corn, grain and other foodstuffs (including sometimes candy). The goal of the feedlot is to fatten the cow up as quickly as possible. The feedlot is also where most cows are given antibiotics to fight off diseases caused by a poor diet and/ or tight living quarters. Grass-Finished: The cow spends its entire life in pastures eating grass. The lifespan is usually a bit longer because this method takes the cow a natural and normal amount of time to gain the proper weight for processing. The cows are usually never given antibiotics because there is no need for them.